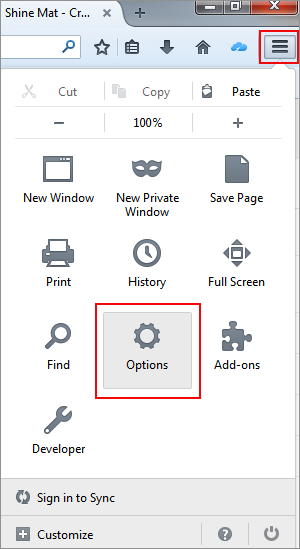 How To Clear Cookies in Mozilla Firefox? 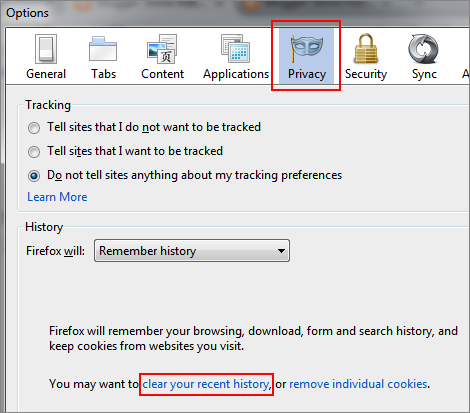 Home > Tips and Tricks > How To Clear Cookies in Mozilla Firefox? 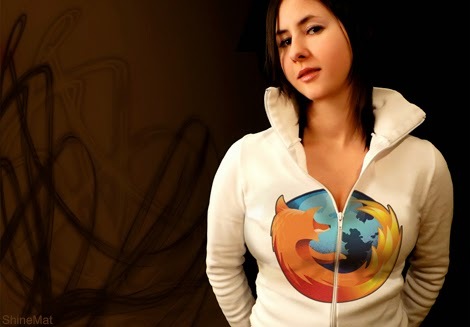 Like all web browser Mozilla Firefox stores web cookies every website you visit. Generally cookies use website administrator to track visits, time-span, user activities and overall preferences of a visitor on a website. It can also send some user data and information to website authority to provide information or suggestion as your interest. 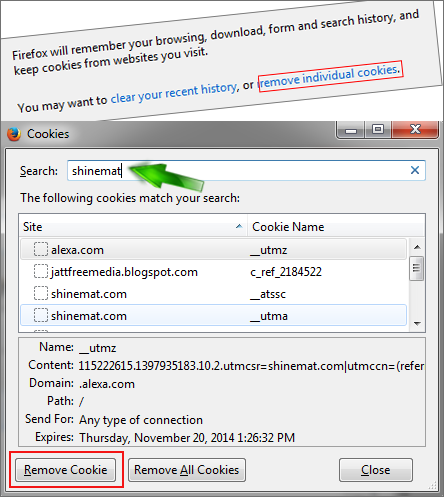 If you wish to remove cookies from your Mozilla Firefox browser then there is an easy way. Let’s see the instructions how to delete cookies from Mozilla Firefox. 2. 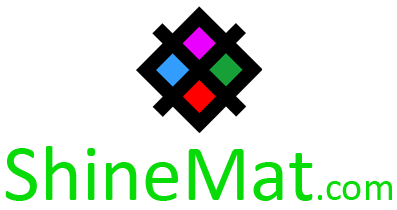 Click menu button from upper right corner from your browser. Or go to Tools → Options form your menu bar. 5. Click "Clear your recent history" link. 6. Now select your time range and only tick Cookies. 7. Click Clear now button to remove browser cookies. 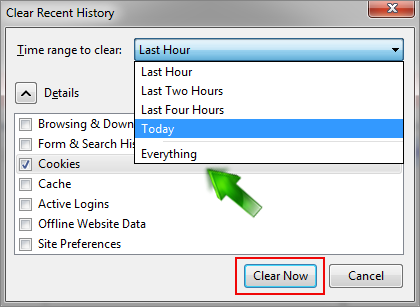 If you wish to remove only specific cookies except all cookies then select “remove individual cookies” instead of “clear your recent history” link. Now search for your desire cookies and click Remove cookie button. That’s all friends. Tell us; is it helpful or not? Stay well and Allah Hafez.